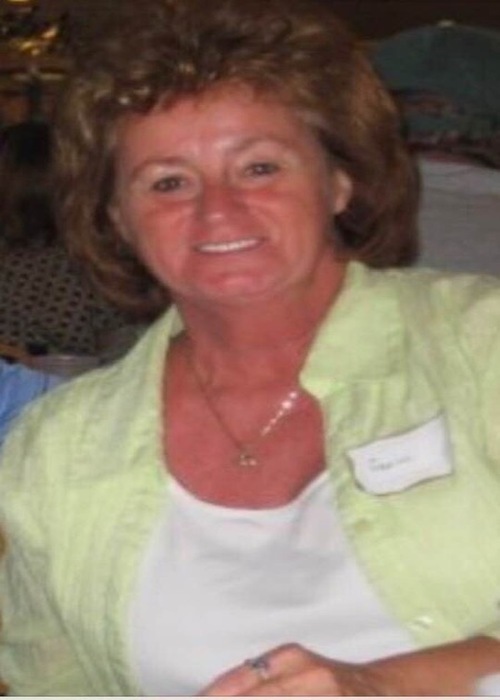 Peggy Leu died Monday, April 8, 2019 at Abbott Northwestern Hospital in Minneapolis, MN. Peggy was born on July 28, 1947 in Long Prairie, MN to Warren and Mabel Sarff. Growing up, Peggy lived on the family farm in Eagle Bend, MN. She graduated from Eagle Bend High School in 1965. She was employed by SuperValu for over 25 years. Peggy enjoyed cooking, baking, canning, and trying new recipes and sharing with everyone. She travelled throughout her life, especially to beaches. She loved spending time on the water fishing and enjoying the view. Peggy also loved spending time with her family and friends. She had a witty, great sense of humor who made people laugh. Peggy is preceded in death by her parents, Warren Sarff and Mabel Sarff; sister, Carol Johnson; niece, Catherine Lahtinen; and brother-in-law, Keith Redfield. She is survived by her two sons, Troy (Erica) Lee and Jeremy (Tracy) Lee; grandchildren, (who each hold a special place in her heart) Rachael (Parker) LeMire, Tyler (Tia) Lee, Joshua Lee, Jena Kuhn, Alyssa Lee; great-grandson, Zachary Lee. Peggy will be missed by many including her brothers, Jim Sarff, Steve (Carol) Sarff, Dale Sarff; and sister, MaryJo Redfield; and many nieces, nephews, relatives and friends. A visitation was held on Sunday, April 14 from noon to 3:30p.m. with a memory and prayer service following at 3:30p.m. at Bakken-Young Funeral & Cremation Services (728 S. Knowles Avenue, New Richmond, WI 54017). Arrangements are with Bakken-Young Funeral & Cremation Services. My heartfelt sympathies to the family. May your cherished memories and the promise held out to us in God’s word at John 5:28, 29 Be of comfort to you.